Ray co-founded Hartshorne Plunkard Architecture with Jim Plunkard in 1987 as a studio of versatile architects who combine great design talent with excellent client service. His experience has spanned a range of building types – from residential and hospitality projects, to commercial office and retail buildings. 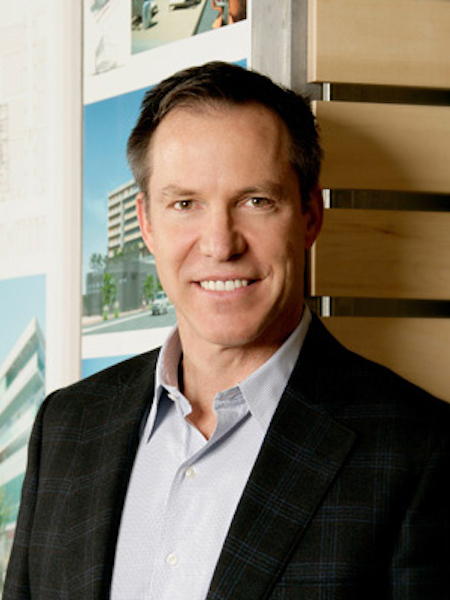 Ray is a recognized leader in multi-family housing, having led the design of more than 25,000 residential units of varying scale and scope for the full range of living environments. He is also an expert in historic preservation and adaptive re-use projects, having revitalized hundreds of existing vintage and historic properties and placed numerous buildings on the National Register of Historic Places. His portfolio of notable, award-winning projects includes 1KFulton, the headquarters of Google Chicago and SRAM International; Green Exchange, the country’s largest development for green-focused enterprises; and Randolph Tower, one of Chicago’s tallest terra cotta-clad towers. Ray serves on numerous panels with professional and civic organizations, including the American Institute of Architects, the City of Chicago, the National Multi-Housing Council, and the Urban Land Institute. He has written on topics such as community development, historic preservation, entitlement and zoning, and building codes. Ray earned a Master of Architecture degree from the University of Illinois at Chicago and a Bachelor of Architecture from Iowa State University.